This book made quite an impression on me. I can’t think of a single other novel set in North Korea, so I was excited to read the book. It confirmed everything I suspected about communism and North Koreans. Communism creates cruel and/or desperate people. This novel confirms for me that free market capitalism is the best path to prosperity and freedom. The story centers around Pak Jun Do, who begins the story with his own identity. In the second part of the novel Pak Jun Do assumes the identity of a “yangban” (elite) of North Korea, boldly walking into the “yangban’s” home and assuming the role of husband and father. The most interesting aspect of Johnson’s portrayal of Pak Jun Do is that we spend an entire novel reading about this man, but never truly know him. I think Johnson’s point is, “Can anyone really know anyone else in such a place?” This is also evident in the story of the interrogator who cares for his parents, but paranoia and fear of the state permeate the family. This is a book I will read again some day and one of my three favorite books read in 2011 (although this book will not be published until early 2012). I like it that much. I would also like to see it read in high school and college literature classes. 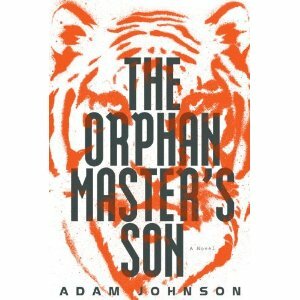 Adam Johnson’s novel is sure to become a classic. Don’t let this scare you away though – it is a must read! Book Details: Published by Random House (January 10, 2012), 464 pages, ISBN: 0812992792. I received an Advanced Reader’s Edition of this book free from Random House. I was not required to write a review (positive or otherwise) and the opinions I have expressed are my own. Just added it to my (very long) to read list! Thanks! Next Next post: A Conspiracy to rule the world exposed?